So I started this new project to create a deep moisturizing body milk that nourishes the skin as well as protect the skin. My goal was to create a very soft textured lotion rich in Vitamin E and collagen that helps cell rejuvenation for youthful skin for longer. The secret to youthful skin is deep moisturization so rather than wait till your skin has aged and then start spending so much money on anti aging products, you can protect your skin from premature aging and aging skin generally by moisturizing your skin. 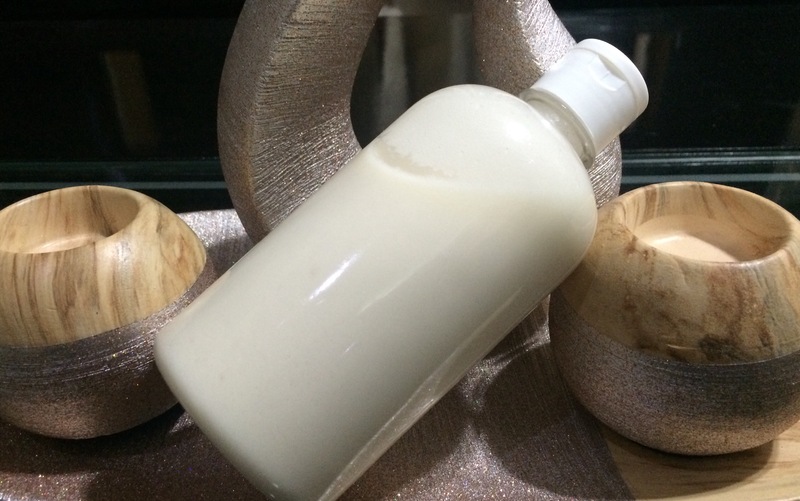 This was part of the reason I decided to create a body milk that not only provided deep moisturizing but ideal for people with sensitive skin which is why I made the body milk lotion with coconut oil and coconut milk. Other ingredients include collagen, vitamin E, lemon oil, jasmine oil, sandalwood oil and water. This product is not for sale yet as I intend to tweak it by adding goatsmilk to it. My desire is that People who use it benefit by having softer, smoother and youthful skin. Am excited about completing this project and launching it soon!